Halfords is a great place for bicycles, camping, car upgrades and parts, as well as stereos, touring and much more. They also have the Autocentre where services, MOTs and repairs can be done. In November Halfords Black Friday UK deals will begin with all the best offers on many products online and in-store. Black Friday deals online was a great success when it first released here in the UK and it will only but get better. There were many deals on Garmin, TomTom, Carrera bikes, many accessories and so much more. If you after Black Friday bargains from Halfords this is where you want to be, as there will be better and bigger savings. Here you will find many offers on products such as men’s, women’s or kids bikes, car stereos, fitness trackers and so much more. This page means you will never miss a Halfords Black Friday sale again; all you need to do is bookmark us and let us do all the work. As Never to miss out on a Halfords Black Friday deal we recommend you book-marking this page, because updates will be listed in the comments when they go live. All deals will be shown on the official Halfords Black Friday Hub too. Get ready because on FRIDAY 23RD NOVEMBER 2018 the deals will begin online at Halfords. They are also taking part in the Cyber Monday deals. There is a cool saving of £50 on the kids Batman 16-inch Bike – it is now only £75. Happy days the Halfords Black Friday Countdown Deals have gone live. Halfords has officially confirmed that the Black Friday Weekend Deals will be coming on November 24. Halfords is offering up to half price off its camping range. Halfords have just confirmed on its website that they will be returning on Friday 24th November 2017 to take part in the Black Friday sale, plus Monday 27th November 2017 for the Cyber Monday sale. The Halfords Black friday deals have just started, some that are include are the Mini Paceman electric ride on car for £90 reduced from £259 and much more. There is a Halfords Black Friday competition on at the moment. 1st prize £2,000 worth of goodies, 2nd £1,000 and 3rd is £500 worth of goodies. Just visit the Halfords BF page to learn more. Will the Halfords Chorley store be taking part in the Black Friday sale? I am so hoping they will sell Carrera bikes at Halfords during the Black Friday deals. Give us something special for 2016. Black Friday 2016 is coming, 25th November and I cannot wait, so looking for a new mountain bike but at a lot cheaper price. The Halfords Black Friday 2016 countdown has begun, site-wide deals coming on November 25th. SAVE £20.99 on the 4.3-inch TomTom Start 20 WE M at Halfords online. This also comes with lifetime map updates. Now only £89.99. Wow i just saved a cool £79.99 (61%) at Halfords thanks to is sale, i purchased online the Elite Magnetic Cycle Trainer for only £50 instead of £129.99. Only 10% off, ok that is better than nothing but 25% off everything would have been more inviting to spend even though I wasn’t looking for anything. I have seen online you can save up to 15% on TomTon Sat Navs and accessories, and a further 10% of you spend £100 or 15% of you spend £200, will this be the same tomorrow or better? Guess most people will shop online tonight then, right best get the coffee on the ready to see if i can get a good deal on a new built-in sat nav stereo with Bluetooth etc. 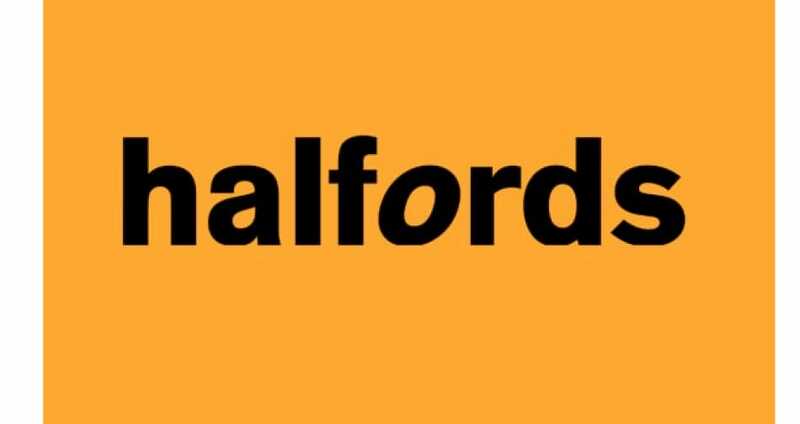 Halfords will be offering in-store Black Friday deals for the fist time this year, as well as doing the normal online sale. Last year was fantastic, so i am very much looking forward to Black friday 2015. Last year i got the Garmin dash camera 10 HD, which recorded driving. This was only £109.99 instead of the original £149.99. I remember last year when Black Friday begun clearly. I bought the Apollo Digby boys bike for my son, it only cost me £44, it saved me a huge £75.